This is the first post in a Series called "Getting Ready for Spring". Spring is coming and the daffodils are out. 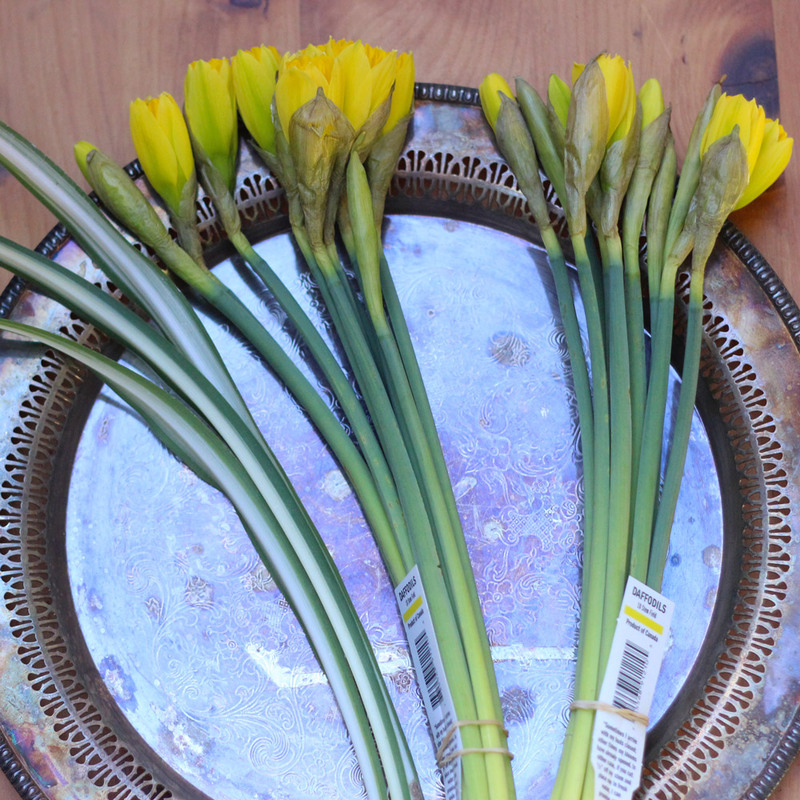 These bright cheery flowers always remind us of Easter. This is a very simple arrangement made with a simple flower, but the clean lines, the curve in the vase and curve made with the flowers make this a modern arrangement. It is easy, but you do need to get the shape that you will need for the flowers and then cut the stems to achieve that shape. If you have your vase, rocks and daffodils then you are ready to roll. Let's go. You will need garden shears and a handful of rocks. 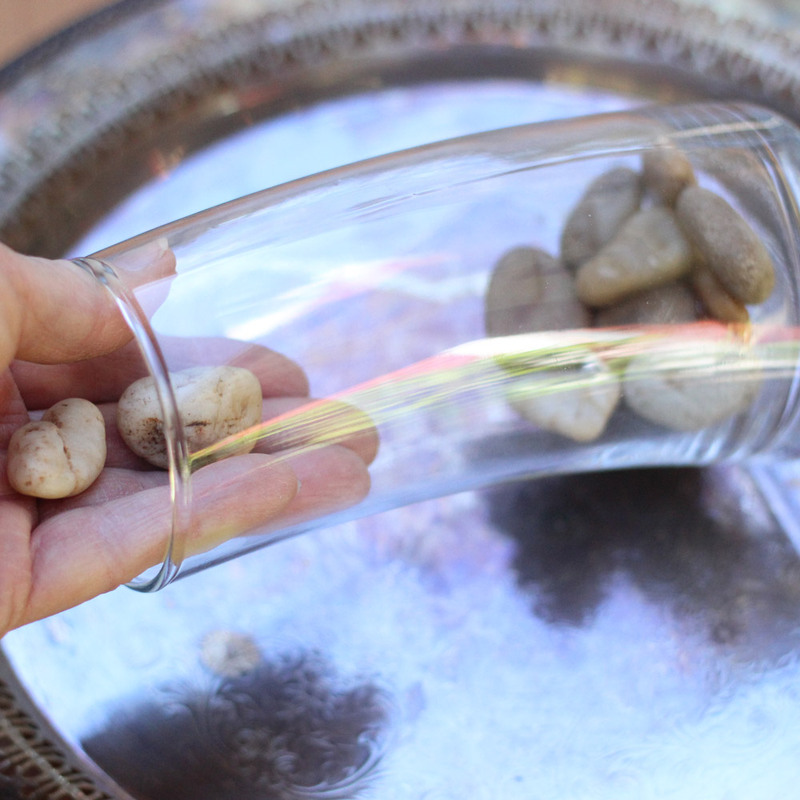 Put a handful of smooth stones in the bottom on the vase. 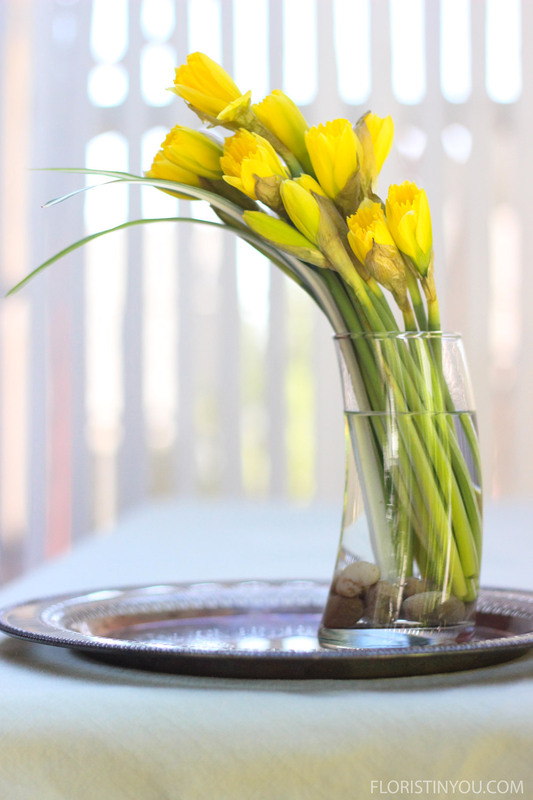 Fill vase with water to 2 inches below the top. Arrange the flowers with the heads forming an arc. Then cut the stems starting at 11.5 inches to 7.25 inches. Cut Spider Plant leaves at 12 inches. Place them in the vase leaning to the left. You want to get this sweep. You can do a series of three on a silver tray. Here's a close up of the vase. After cutting the stems, they will open up.